We're out in Las Vegas again for our favorite show of the year, the International Consumer Electronics Show (CES). 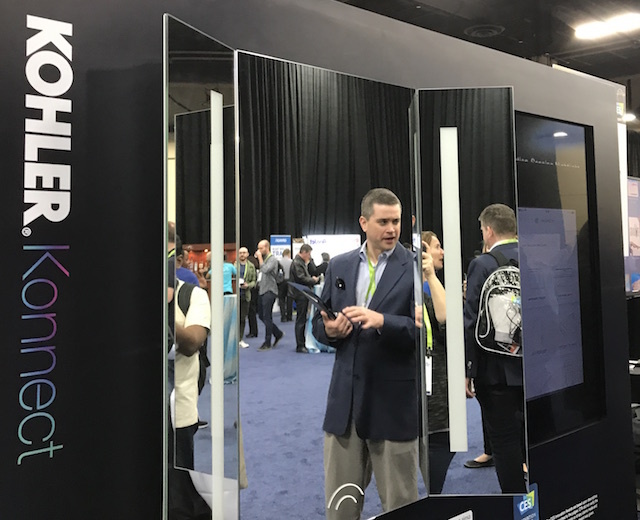 Our team walked miles and miles of halls and exhibits, checking out the coolest, the most useful and, sometimes, the weirdest tech products coming to market. Of the thousands (tens of thousands?) of products and technologies we saw, a very select group standout as truly exceptional, filling our editorial team with a certain level of excitement and making us say, "Yes, I want that!" 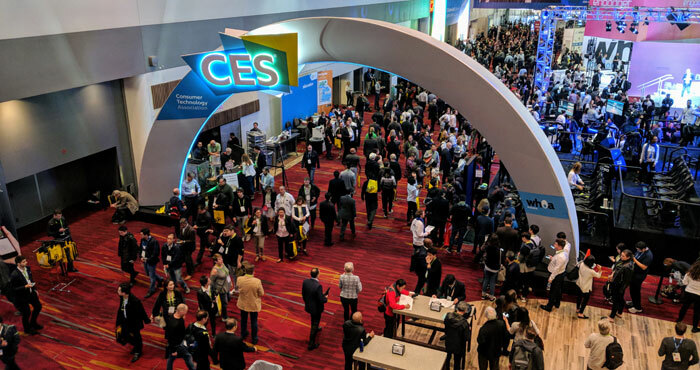 We crown them with our Techlicious Top Picks of CES 2018 award. While car companies are rushing to add voice assistants to their vehicles — just this year, Toyota announced Alexa integration and Kia announced Google Assistant integration — the Anker Roav Viva adds hands-free voice assistant features without a new car price tag. Supporting thousands of Alexa skills, the Viva adds high-end smarts to your older vehicle, neatly integrating it with the rest of your smart home. Even before you get home, you can ask Alexa to turn on the lights or order a pizza for dinner. But, of course, it has great car features, too. As you would expect from Anker, the Viva also charges your phone with two USB fast charging ports to keep you powered on the road. And while you're probably more accustomed to using Alexa at home, it also has tons of great features for drivers: it streams from most of your favorite music services (with Spotify coming later this year), it can read audiobooks or play podcasts to entertain you when you're stuck in traffic, and it offers turn-by-turn directions. That covers all of the high-tech features you're likely to want in your car, and for a lot less than buying a brand-new Alexa-enabled model. For $50, the Anker Roav Viva is the most budget-friendly way to upgrade the IQ of your current car. 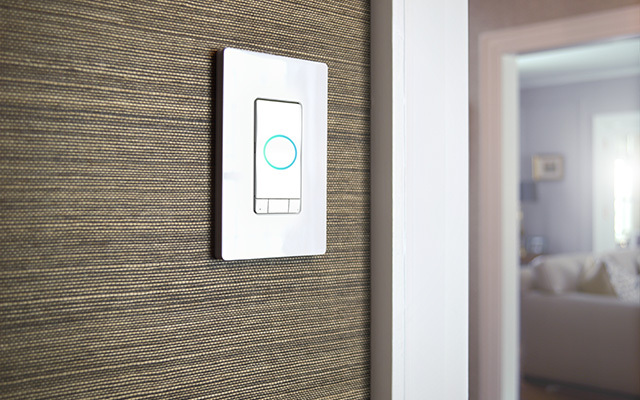 We've seen plenty of connected light switches, but the iDevices Instinct is the best of the bunch. It does everything you would expect a smart switch to do: it can be controlled by app or voice through your favorite service (Amazon, Apple and Google), plus it features both a light sensor and a motion sensor to automatically turn on and off when needed. But this connected switch also has Amazon Alexa built right in. We don't mean you can just control it with Alexa (which other iDevices products already do): instead, the switch itself essentially a miniature Amazon Echo. An integrated microphone and speaker lets you talk to the Instinct just like you would talk to an Amazon Echo. The Instinct lets you add smart home features to every room of your home without putting smart speakers on every available surface. With the iDevices Instinct, Alexa is just there wherever you need it — with no extra gadgets cluttering up your home. Why constrain your television to a screen when it could take up an entire wall of your home? 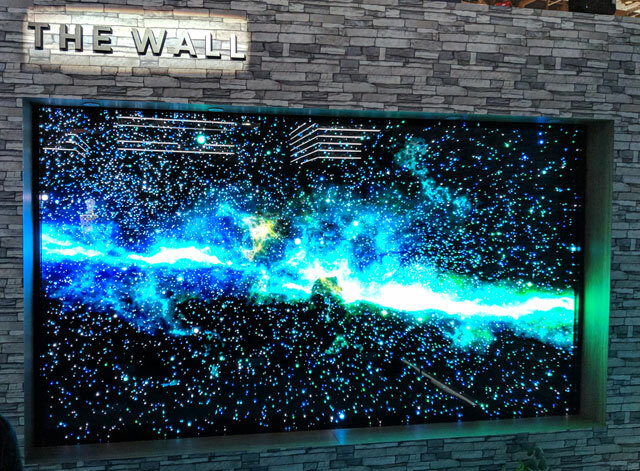 That's exactly what The Wall offers: a super sharp screen that's modular, combining multiple screens into a wall-sized display. The effect is completely seamless, making a TV that's simply part of your room rather than a separate appliance. But MicroLED technology is what makes these screens really shine. It can produce crisp whites and deep blacks, with the same bright, vibrant colors you see in OLED screens. The display is simply beautiful, and its massive size lets you lose yourself in what you're watching. Plenty of televisions promise a cinema experience in your living room, Samsung delivers with these massive screens. And though the company hasn't talked about pricing yet, we already know we want one. While we would usually single out specific televisions for our Top Pick awards, this year it's the technology behind LG's TVs that stands out. The company's new Alpha 9 processor not only provides the power to produce top-of-the-line picture, it runs the new ThinQ AI — and that's what makes LG's 2018 television lineup something special. ThinQ is essentially a super smart voice assistant for your television (and all of your other LG appliances if you have any). But the AI goes beyond what you average voice assistant can do. It understands requests in natural language — so there are no commands to remember — and it understands the context of your requests. For example, you can ask it for the name of an actor on screen and then ask to see other movies that actor is in. Even without specifying the actor's name yourself, ThinQ understands exactly what you want. It also learns as it goes, so if it notices you watch a lot of ESPN it will automatically switch to ESPN when you turn it on. Fantastic picture quality and an AI that can answer all of our entertainment questions? Sign us up. Designed to sit in a kitchen or dining room, Lenovo's Smart Display is essentially a tablet designed to stay in one place. Available with an 8- or 10-inch touchscreen, the Smart Display uses Google Assistant to help you through your day. When you stop in the kitchen for breakfast, a simple voice command will run through your day's routine. It will review your schedule and reminders, tell you how long it will take to get to work, read the news and play music or YouTube videos. In short, it does just about anything else Google Assistant can do. While we've seen gadgets like this before, Lenovo's Smart Display is the most sophisticated so far. The interface is simple and easy to use, making it the perfect companion to your morning coffee. If you love wine, you'll love Coravin. The company's wine bottle openers let you pour by the glass, without leaving the rest of the bottle to oxidize and spoil. Coravin devices fit over the neck of a wine bottle, inserting a thin needle to pierce the cork so you can pour wine. As your wine is poured, the bottle fills with argon gas to keep oxygen away, and the cork reseals once the needle has been removed. Coravin has been making bottle openers for a while, but the new Coravin 11 automates the process: all you have to do is place the Coravin over the neck of the bottle and push it down to insert the needle. Then tip the bottle over and it will automatically pour until you right the bottle again. Just pull the Coravin off and you can put the bottle back on the rack: your wine will stay perfectly fresh until you want another glass. And the Coravin 11 is connected: it syncs to your smartphone via Bluetooth to track your wine collection and even offers pairing suggestions. The ability to enjoy wine by the glass whenever you want will change the way you drink wine. We love Tile, the Bluetooth tracker that helps us find lost keys (or anything else we might absentmindedly set down and forget about). But it's not convenient to attach a Tile to everything, which is why we're thrilled to see Tile technology built into Monster's new Clarity HDX on-ear headphones. Clarity HDX owners can just download the Tile app (for Android and iOS) and track down their lost headphones with a single tap. You'll be able to see where you last had your headphones, use a proximity meter to find them if they're within a hundred yard range, or find out if anyone else in the Tile community has spotted them. That means you'll never lose your headphones again. If you already use Tile, this new feature from Monster will unobtrusively join the rest of your Tile devices in the app. 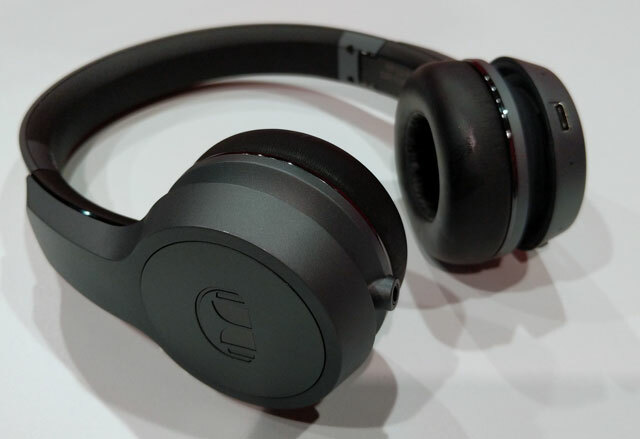 Monster already makes great headphones — and with the new version, you'll never have the hassle of losing track of them. The biggest problem with wearables is that most of them need constant charging. Not so with the Matrix PowerWatch X, a new smartwatch that is powered by body heat — really! Your body produces 100 watts of heat — or 1,000 watts of heat when you start exercising. Matrix's proprietary technology uses the heat differential between your body and the watch to generate enough electrical current to keep the Matrix PowerWatch X running all day, every day, without ever having to plug it in. 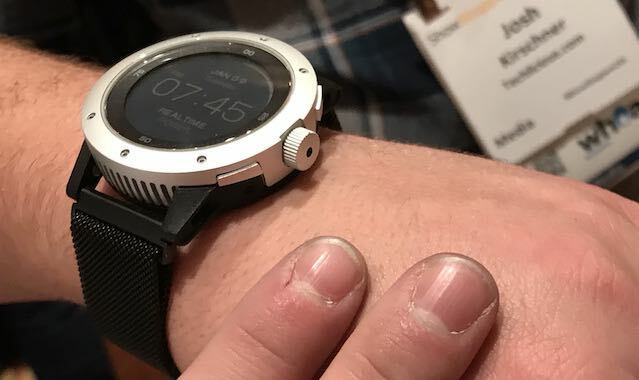 Though it doesn't run any standard smartwatch OS, it does everything you need, and works with both Android and iOS phones. And while the interface is simple, it does everything you really need. It has your standard fitness tracker features (keeping tabs on your steps, calories and sleep), and the latest version does notifications, too. All without ever having to charge it. Really. Now, L'Oreal and La Roche-Posay are introducing UV Sense, a tiny wearable that doesn't require a battery. The sensor is a brightly colored dot that's just two millimeters thick and nine millimeters in diameter. It's designed to stick to your thumbnail — the perfect place to monitor your sun exposure. It stays on for two weeks and you can reapply it with extra adhesive (included in the package). It's a practical wearable that's so easy to wear that you'll forget you have it on..
Coloring your hair is something of an art. Everyone's hair takes to dye differently, and the exact color will vary based on your original hair color. But the new SalonLab from Henkel aims to turn it into a science with sensors that analyze your hair to determine its condition. Then you can get a completely customized color consultation, using augmented reality to show you exactly what a color will look like. This is a huge leap forward for salons, letting you see just how a color will look with your existing hair color and skin tone — instead of dying your hair and being unpleasantly surprised by the result. 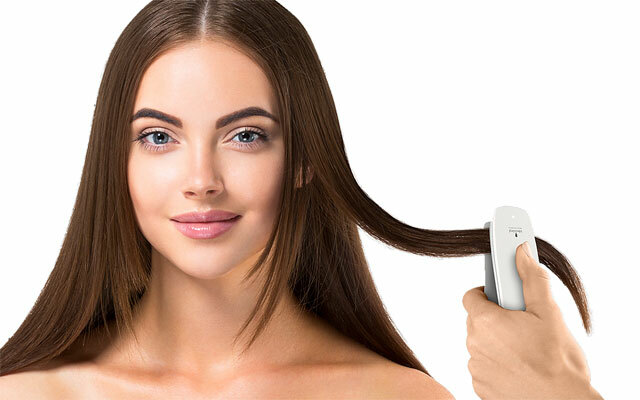 SalonLab is designed for salons, so you won't be using it at home. Instead, you'll find it in your favorite salon, where you'll be able to get a high-tech color consultation. Kohler's Verdera is a beautiful bathroom mirror (ranging from 24" to 40" wide), with built-in lights that make it the perfect companion to your morning skincare routine. And for navigating the bathroom in the dark, a built-in motion sensor will automatically turn on a night light when anyone walks by. And while you have plenty of options for bathroom mirrors, the Verdera Voice Lighted Mirror adds intelligence to the package. Built-in microphones and speakers (carefully sealed so they can cope with the hot steam from the shower) let you interact with Amazon Alexa. You can turn on the light with a simple voice request — or ask how long your morning commute will be, check the weather, play music or do just about anything else you Alexa's capable of. And if you have any other new Kohler Konnect products, you can turn on your shower — to the perfect temperature — just by asking your bathroom mirror. It brings an all new level of intelligence to your bathroom. The day of the cookbook is over. You probably already cook from recipes you've found online, and appliances just haven't kept up with this tech trend. But Whirlpool's new Smart Front Control Range is integrated with Yummly, bridging the gap between the way we cook and the way we find recipes. Now, all you have to do to make the perfect meal is pick a recipe in Yummly 2.0. Then, your oven will automatically pre-heat to the appropriate temperature and walk you through the recipe step by step, from both the app and the oven's color LCD touchscreen. That means you can go from browsing recipes on your phone to cooking them in the kitchen without missing a beat. But this is a smart oven whether you want to follow a recipe from Yummly or not. It also supports voice control via Google Assistant and (soon) Amazon Alexa, plus you can pre-heat the oven or adjust the temperature remotely from your smartphone. Cooking has really never been easier.